Ambedkar University of Delhi (AUD) today released its second cut-off list for admissions to various courses, with a dip between 1.75 per cent to 3.25 per cent for students from outside the National Capital Region. New Delhi: Ambedkar University of Delhi (AUD) today released its second cut-off list for admissions to various courses, with a dip between 1.75 per cent to 3.25 per cent for students from outside the National Capital Region. The highest cut-off for BA (Hons) Psychology has been set at 98.75 per cent for general category students with commerce background who are from outside the NCR. The cut-off is a slight relief for the outstation students who were staring at the ceiling of perfect score after the first round. For the outstation students wanting to study BA Hons Sociology, the cut-off is set at 98.50 per cent. For BA Hons English, the cut-off stands at 94.75 per cent. In its first cut off, AUD had set its highest at 100 per cent for some courses, superseding that of Delhi University's 99.66 per cent. In the first list released last week, over 1,700 applicants were provisionally selected by the college. 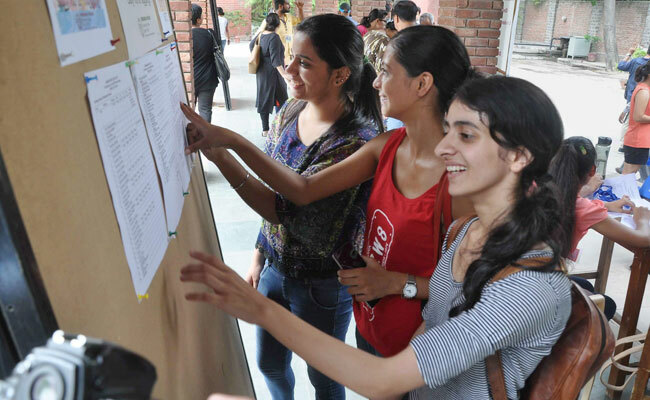 A total of 253 students were selected for BA Economics in both Karampura and Kashmere Gate campuses. 185 candidates were selected for BA Hons Sociology. For BA English, 404 students were selected, 240 students for BA History, 122 students for BA Maths, 232 for B A Psychology and 487 students for BA Hons Social Sciences and Humanities. B R Ambdekar University, which was established by Delhi Government in 2008, is a state-funded varsity. The varsity offers seven undergraduate courses in History, Economics, English, Sociology, Maths, Psychology, and Social Science and Humanities. Along with its Kashmere Gate campus, which has 245 seats, the university is beggining a new campus at Karampura with 200 seats this year, bringing the total seats to 445.